we know our way around a nacelle. and a tower. and a blade. Fredricks Communications knows the wind energy industry. I’ve been helping wind energy component manufacturers and service providers market their products and services since Day 1, back in 2004. With FredComm, you won’t have to tech your marketing partner the difference between a primary and a secondary component, what a Schnable trailer is or how a gearbox relates to a a nacelle. Instead, I’ll get to know your business, your markets and your unique selling propositions. Then I’ll arm you with the branding and marketing strategies and tools you need to build your brand and increase sales. 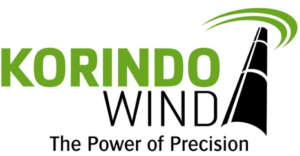 I am consulting with windtest north-america to build and fortify a reputation in North America like the one its parent company, windtest gmbh in Germany, enjoys in Asia, Europe and other parts of the world. Ventoco specializes in helping renewable energy companies turn challenges into opportunities. Its professionals bring decades of experience to leading and driving business competitiveness and global deployment to the table when helping clients across the globe improve their processes and profitability. Fredricks Communications is helping the company with messaging. Korindo Wind is an ISO 9001:2000 certified manufactuer of on- and offshore wind towers and monopiles. It’s facility in Indonesia has an 800-tower annual capacity. Fredricks Communications helped the company establish its identity and reputation in the North American market with comprehensive branding, advertising and public relations. 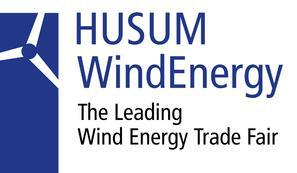 HUSUM WindEnergy was the largest and longest-running wind energy tradeshow in the world at the time I helped with “Americanizing” the English side of its website in 2008 and North American public relations leading up to the 2010 show. I also worked both shows, helping lead delegations of English-speaking dignitaries through the various pavilions. Fredricks Communications worked with Zarges when it had a facility in Abilene, Texas, for fabricating customized, integrated internal systems for wind towers. I worked on North American public relations and preliminary event planning for WINDPOWER 2009 in Chicago. DMI manufactured utility-scale wind towers in West Fargo, N.D. for many years before it was sold by its parent company, Otter Tail Corporation. Fredricks Communications worked with the company on comprehensive branding, helping to transition the company from an identity as a local job shop to a nationally recognized player in the wind energy industry. Wanzek is a heavy industrial construction company that works extensively in the wind and ethanol industries. Fredricks Communciations worked with Wanzek on a wide range of advertising, branding and marketing, from creation of print ads to brochures and newsletters. Fredricks Communications worked on Broadwind advertising, branding, marketing and public relations, including comprehensive branding, public realtions, website content creation, advertising and collateral marketing material development. FredComm also did work for each of the companies Broadwind owned at the time. Brad Foote Gear Works, Cicero Ill.
Energy Maintenance Service, Gary, S.D. Tower Tech Systems, Manitowoc, Wis.